For this project I was eager to push my skills in a new direction and create a bold and exciting promotional video that stood out from the crowd whilst still successfully capturing the selling points of the brand. When I came across That Cafe, I saw their bright colour scheme and their dedication to providing sustainable packaging and realised that they would be a perfect fit for a paper cut-out animation. Very quickly, however, I realised that I didn’t quite have the time or resources to create a genuine stop-motion animation, so I thought about how I could approach the concept from a different angle, eventually settling on the idea of recreating the stop-motion style using digital animation. 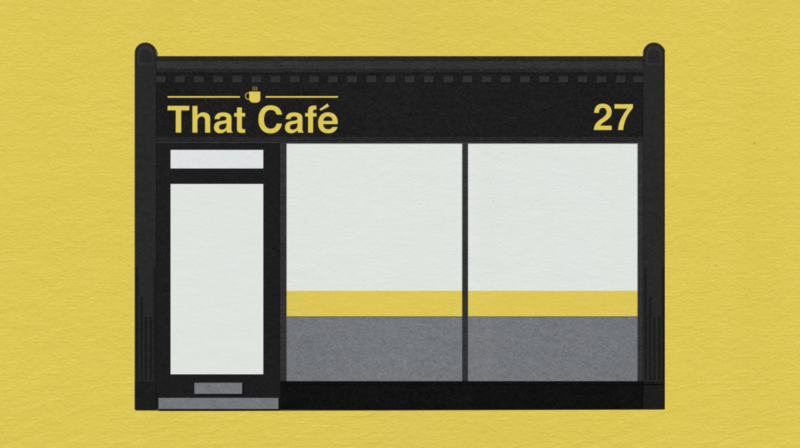 Through experimenting and researching the cut-out animation style, I was able to produce an authentic recreation, with the digital animation giving it a slightly more refined appeal to present the cafe in a creative and captivating format.